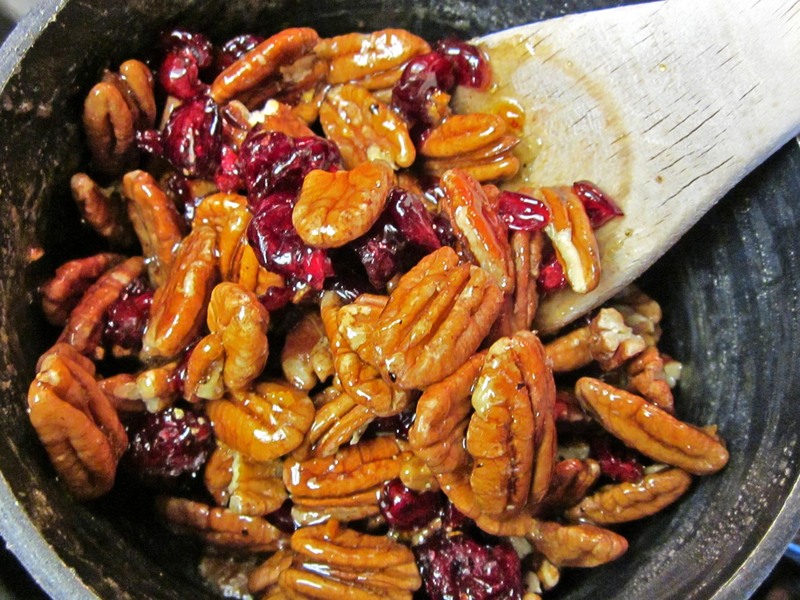 Candied Orange Pecans… With a little kick from black pepper. The other day I was browsing the snack isle when I came across an intriguing package of nuts: pecans flavored with oranges and black pepper. I can’t remember the brand, but I do remember what I was thinking… These look delicious! I was also thinking, I could make these at home! So, that’s what I did, and they turned out awesome! 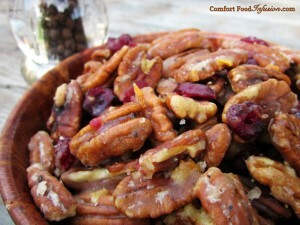 You may be thinking, it’s an odd time of year to make a snack with flavors such as pecans with orange and cranberries…. that sounds like a fall or winter snack. Sure, they would make a perfect addition to a Thanksgiving spread, or a tasty Christmas gift for neighbors, but my cravings don’t always make sense, so I wanted them now. 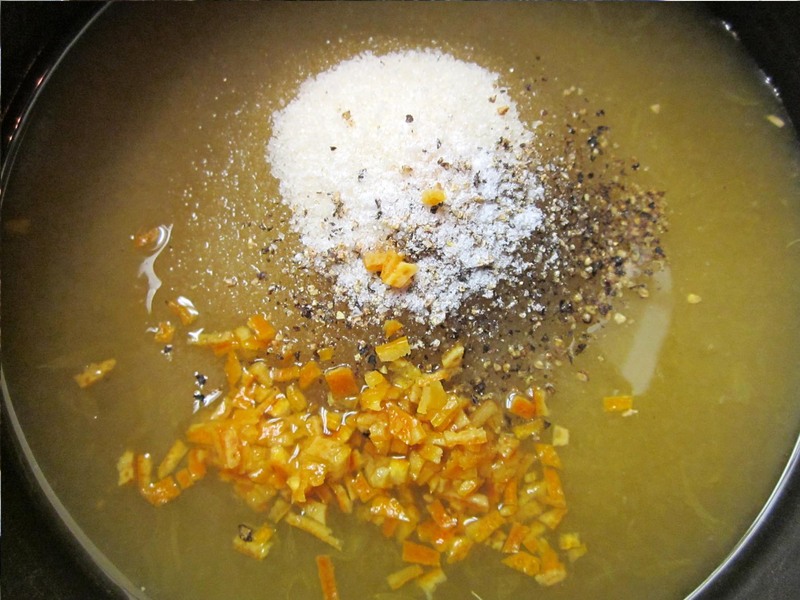 I kindly suggest you scroll down and print a copy of the recipe and stash it away into your cold weather recipes… but, make them right now also. After all, they taste great regardless of the season. A sweet and delicious snack of pecans and cranberries, with a candied orange coating. Black pepper adds a wonderful little kick. In a sauce pan, combine orange juice, sugar, salt, pepper and orange peels (or zest). 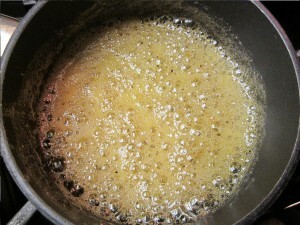 Cook over low heat, stirring occasionally, until mixture reaches 238° F with a candy thermometer. Remove from heat. Add to sauce pan, the pecans and cranberries. 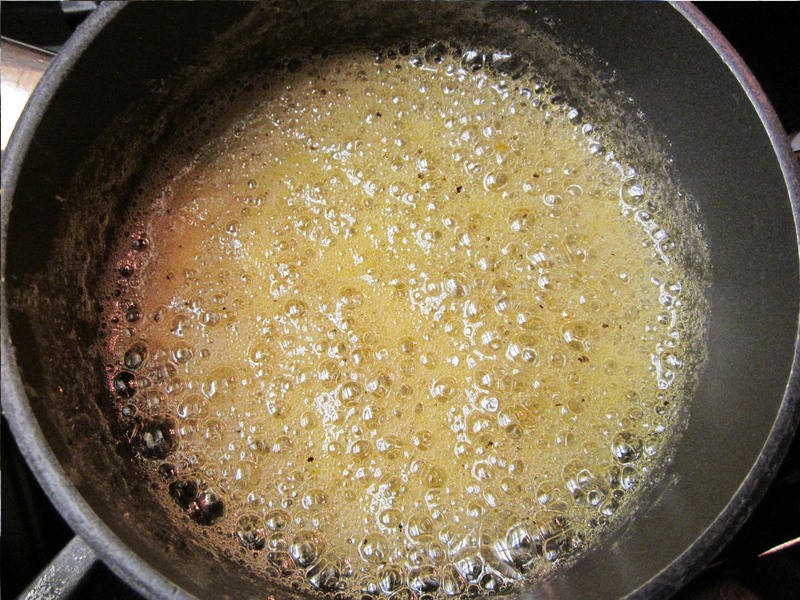 Stir well to coat. 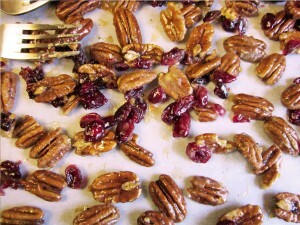 Pour pecans and cranberries onto a cookie sheet lined with wax or parchment paper. 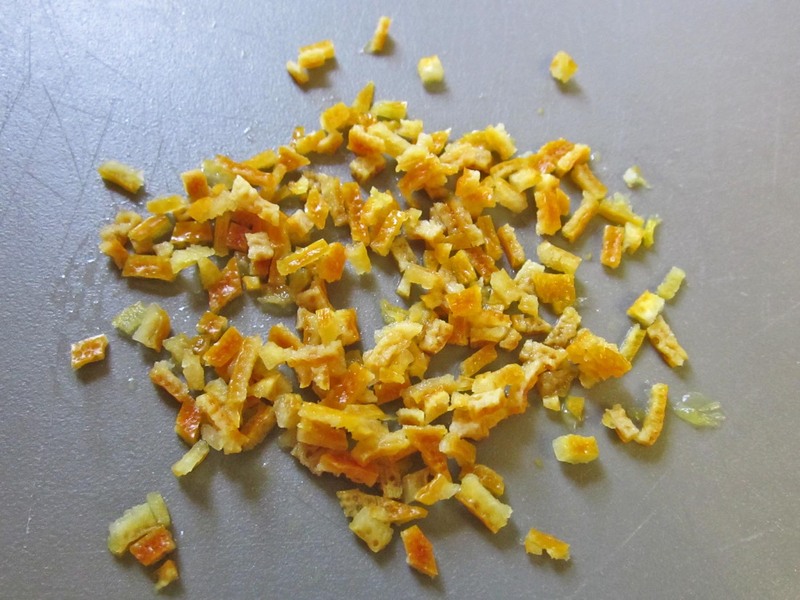 Separate pieces with a fork. Sounds so good! I’m going to do these this holiday season. I’ll certainly make them again this winter as well! I used some of mine in a butter leaf salad with yogurt dressing, the other day. 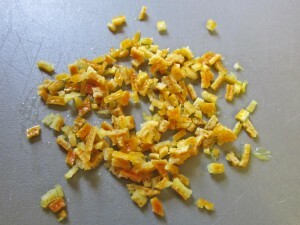 I will try to post the salad recipe sometime soon.